Open Your Eyes to Blindness: A fun experiential workshop on inclusivity. From his journey from sighted to blind our guest speaker, Mark Valenziano, weaves together stories and insights that are meaningful, memorable, and fun. Come with all your questions and be prepared to learn, laugh, and be inspired! 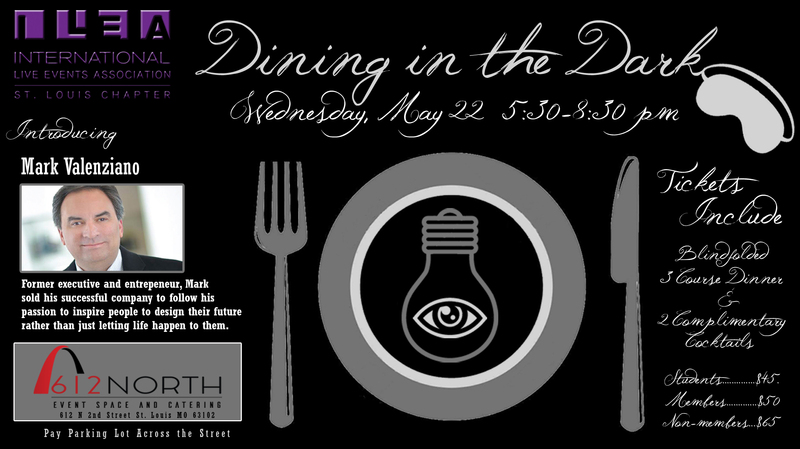 You will be blind folded for a 3 course meal and learn to use other senses than your sight! The cost will include dinner and adult beverages. - Get attendees out of their comfort zone! - Inspire people to be the best they can possibly be. -Empower people to bring their future into clear focus. - Be inspired to take on the challenge of change and dream big. change and life in general. - Enjoy a new sense of gratitude and optimism. - Learn how to replace self-doubt with self-confidence. - Have fun and laugh a lot!